There are many reasons you might want to lose weight, and as with everything, there is a right and a wrong way to go about doing so. It can sometimes be difficult to lose weight, especially if you are going about it on your own. If you are a bit overwhelmed with where you should be starting, just pick one aspect of your routine to change and go from there. Choose one of the five that are listed below, and you might have a solid starting off point that could make your journey a little bit easier. If you feel like you need that extra push to get you going, there are a number of weight loss pills and supplements that you can try. If you give supplements a go, make sure you purchase them from specialists like those at Fitness Market. These usually claim to help reduce your calorie intake, either by reducing your appetite, absorption of nutrients or increasing your ability to burn fat. Remember that this alone will not lead to weight loss; you need to put in some hard work as well. Keeping active is key to losing weight. If the mention of the gym automatically generates a response of fear, do not worry – there are plenty of other ways to go about getting your daily dose of exercise. This might mean going for a run or a walk around the block every morning or evening, or maybe even joining a local sporting team that meets every week. There’s no reason you can’t have fun and exercise at the same time. People usually don’t keep track of what they put in their bodies, often to their severe detriment. You don’t have to completely cut out sugars, fats or carbohydrates; in fact, everything is good for you in moderation. Pay more attention to the types of foods you are eating, especially if you do eat out a lot, and make conscious choices to select healthier options. A proper sleep cycle means that your body is doing all the things that it should be doing, and that it is functioning correctly and as efficiently as possible. Try to get at least seven or eight hours of sleep a night, and you will be amazed at the difference it can make. It is very tempting to just order takeaway or go out for dinner, but it is both cheaper and often healthier to stay at home and make yourself a nice cooked meal. This way you also know exactly what is going into your food, which is important if you are keeping a close eye on your caloric intake. 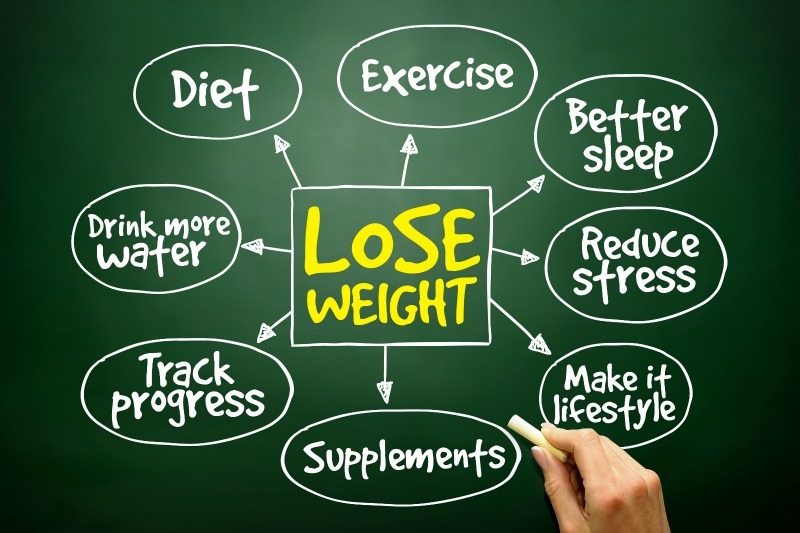 Losing weight can be difficult, no matter the circumstances under which you feel like you need to lose weight. However, by following one or more of the tips mentioned above, you could be well on your way to achieving your goal weight, and hopefully also being able to keep it off. What are your top tips for losing weight? What would you recommend and what would you advise people to avoid? Tell your stories in the comments section down below, and you might just have the answer to someone else’s query.